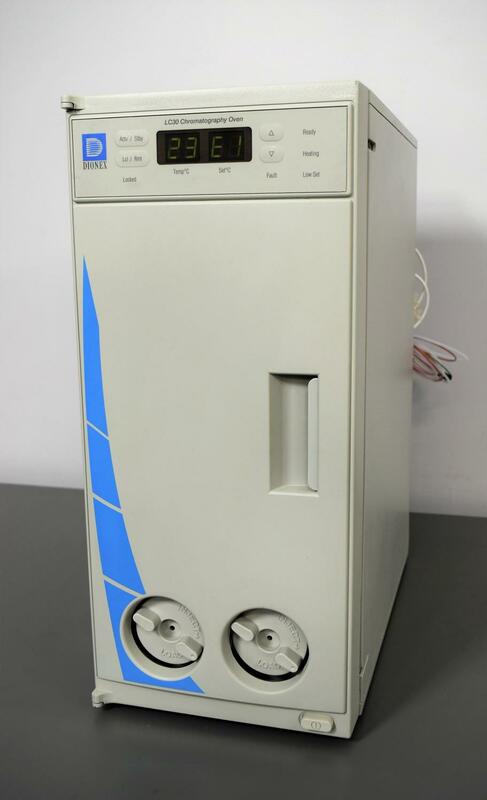 Dionex LC30 Chromatography Oven 2 Injectors 2 Slide Racks DS3 Stabilizer HPLC . New Life Scientific, Inc.
Our in-house technician inspected and tested this Dionex LC30 Chromatography Oven, confirming it to be functional. Technician noted the instrument raises to desired temperature quickly and holds it at set temperature.